Northern Regional Director of Ghana Education Service (G.E.S), Alhaji Mohammed Haroun Cambodia has warned teachers and heads of some 13 junior high schools in the region to show serious commitment towards efforts geared at improving quality education. Alhaji Haroun Cambodia further warned that, such teachers and their heads risk being punished if their attitudes towards stakeholders’ support is discouraging and found wanting. He reminded head teachers, especially, that they are occupying privileged positions and their lukewarm attitudes could lead to their removal from the headship positions. His warning follows reports of refusal of the heads and teachers of those schools to attend the Zaa Radio Quiz and Debate Competition balloting process without any tangible reason. Speaking at the review meeting on Zaa Radio’s Live Radio Quiz on Friday, Alhaji Cambodia was not happy that Zaa Radio will sacrifice its airtime for education and teachers will not take advantage of it. “If any teacher does not like the quiz, my office does not also like him; such behavior shows the laziness of some teachers in the educational sector,” the director said. The Zaa Radio Live Quiz which comes on every Saturday between 10a.m. and 12 noon, is the initiative by management to sharpen the intellectual ability of both basic school pupils and students of some selected schools within the Sagnarigu municipality and the Tamale metropolis. 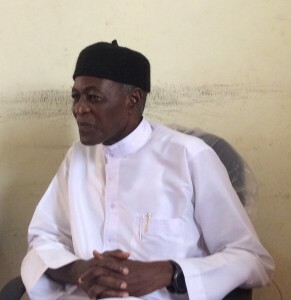 Alhaji Cambodia reminded participating school heads that the quiz was sanctioned by him and headteachers who are not showing seriousness and commitment to it should remember they are denying their pupils learning opportunities. The quiz, Alhaji Cambodia said, was one of the tools to assess the students and will broaden their knowledge. Commending Zaa Radio for the initiative, he said the quiz serves as another aspect of intellectual development of pupils and students. The Chief Executive Officer of Zaa radio, Alhaji Mohammed Umar, who was part of the meeting, reiterated his commitment to use the station to enhance the socio-economic development of the people in the north. He assured the G.E.S director that he is making efforts to add a television station to the radio station and entreated him to make sure he and his subordinates are always available to the station when they are called upon. Meanwhile, 58 school teachers balloted for the knockout stage,one- quarter finals competition for 2018. Two schools, with two contestants each, will be in the studios of Zaa Radio in July immediately after this year’s fasting to lock horns.